In addition, Yahoo Weather for iPhone and iPad, now bumped to version 1.8, is even more accurate than before and zooms in smartly on microclimates. 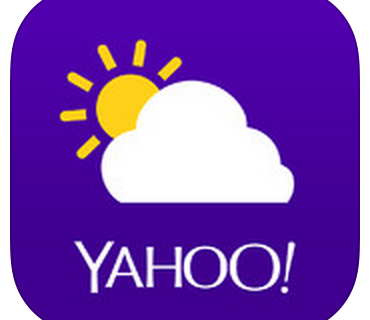 Now Yahoo Weather users worldwide can take advantage of the new near-term rain and snow alerts. “You’ll never be stuck outside, unprepared again,” teases the team. As demonstrated by the animated GIF below, these alerts take the form of native push notifications on your iPhone that appear on your Lock screen and within the Notification Center, unless chosen otherwise. You will need to turn on the new snow and rain alerts yourself. 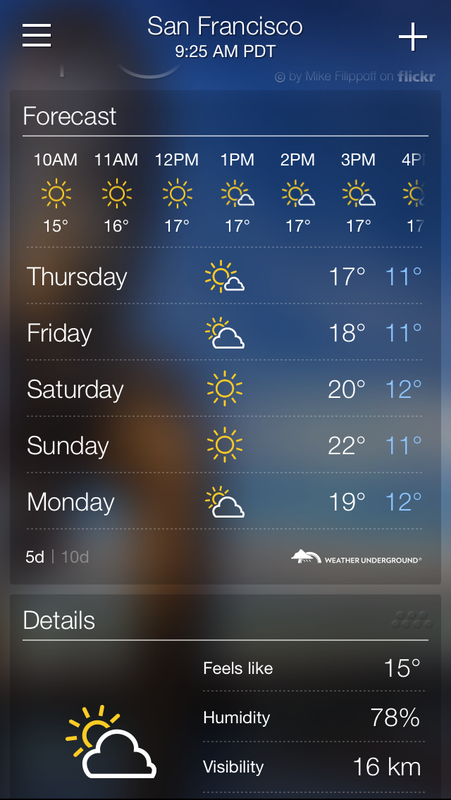 Open Yahoo Weather on your iPhone, iPod touch or iPad, tap the hamburger icon in the upper left corner and the options screen will slide into view. 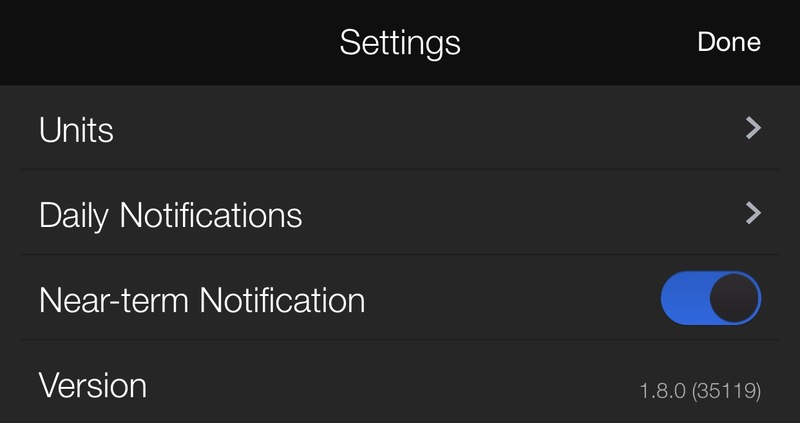 Choose Settings at the bottom and on the next screen flip the Near-Term Notifications switch to the ON position. And while you’re at it, you can customize your units and choose when daily notifications for weather conditions will be delivered in the morning and evening. Yahoo Weather, a 67-megabyte download, is compatible with any iPhone, iPod touch or iPad capable of running iOS 7.0 or later. The app takes full advantage of the iPhone 5/5s/5c, iPhone 6 and iPhone 6 Plus screen sizes and includes an Apple Watch app.